Know what will be compatible with your ADT System and what will not be. Are you wondering what the ADT Pulse Approved Devices are? It can certainly be confusing when you are wanting to add devices to your ADT Pulse system to know what will be compatible and what will not be. We have made this page to help. 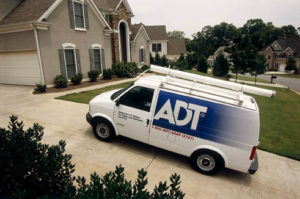 ADT has two places where you can find a list of approved devices. One of them is on their website and the other on the ADT Pulse portal when you attempt to add a new device under system>manage devices. Unfortunately, these two lists do not match and are not 100% accurate. We will try to make this page be the most accurate place on the web for approved devices for ADT Pulse. Why Does ADT Limit The Approved Devices List to Certain Devices? Taken from ADT’s website they say, “To get the best possible experience from the ADT Pulse system, it is important that you use only devices that have been tested and approved by ADT”. ADT says this because the smart home market is exploding right now. There are new products popping out every month and some of them are better than others. ADT does not have the resources to test every new device that hits the market so they can provide support and warranty for it. For this reason, they try to keep this list as small as possible. They do not want more liability. 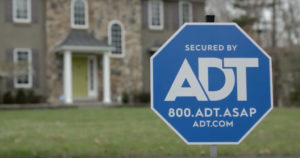 If a customer calls in that is having an issue with one of the approved devices ADT will usually be able to help get it to work, but other devices they will not bother with. 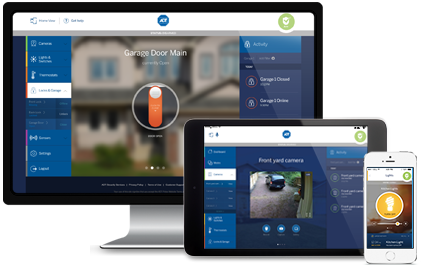 Are There Devices That Will Work With ADT Pulse That Are Not on The Approved Devices List? Both work just fine with ADT Pulse but you will not find them on the drop down in the portal or on ADT’s website. It is very encouraging that ADT has announced that they will integrate with IFTTT or IF sometime this year. This will open up their compatibility to tons of devices that ADT Pulse will not have to support. UTC 7″ Touchscreen Device IS-TS-0700-B This was the first color touchscreen made by GE for ADT Pulse. It is discontinued now but there are still a few available. NETGEAR 7” Battery Powered Touchscreen Device HS101ADT-1ADNAS Netgear made the second color touchscreen keypad. It is a much better keypad than the GE/UTC one. It was not designed to be wall mounted, but some have managed to still get it to mount on the wall. Sercomm Wireless Bookshelf Indoor Camera RC8021-ADT The first adt pulse camera. White in color. No motion activated recording ability. Discontinued but maybe a few available still. Replaced with 8326. Sercomm Wireless Bookshelf Indoor Camera ICAMERA- 1000-ADT The first indoor infrared camera that ADT Pulse added. It can record on motion and be a trigger. It was discontinued and replaced with the 8326. Sercomm Wireless Outdoor Camera OC810-ADT The outdoor ADT Pulse Camera with infrared. Two issues are distance from an outlet (need to be plugged in still) and distance from the Ihub – some need a repeater or need to run a cat5 wire to the iHub. Sercomm Wireless Bookshelf Indoor Camera RC8025-ADT The third indoor camera and the only indoor camera available currently. It has infrared (can see in dark) and it also can start recording on motion. Sercomm Wireless Indoor HD Camera RC8325-ADT The previous ADT Pulse indoor camera. 720P picture quality and easier to add to the system. Now replaced with 8326. Sercomm Wireless Outdoor HD Camera OC835-ADT The newest and nicest ADT Pulse outdoor camera available. 720P picture quality and easier to add to the system. It will replace the OC810ADT. Sercomm Video camera encoder module for external hardwired camera applications. NV412A-ADT The only way to incorporate wired analog cameras to your ADT Pulse portal. You need one of these per camera. These only work with analog cameras and not with high definition cameras. RCS ADT Pulse Digital Thermostat TZ45 Was the first thermostat ADT came out with. It had to be wired and was more difficult to install. Discontinued and replaced with the TBZ48A. RCS Battery Powered ADT Pulse Digital Thermostat TBZ48A The second and currently the only thermostat ADT says they approve. It can be wired or wireless since it can run on batteries. Jasco On/Off Outdoor Appliance Module 45704 Perfect to control any outdoor appliances or lighting, or as an outdoor repeater. 45612WB This is the Decora Light Switch that has a dimmer in it. Discontinued and replaced with 45712. Handles 600W. Jasco White Decora Auxiliary Light Switch 45610WB This is needed for three or four way applications. You can use it with the dimmer or the on/off switch. Discontinued and replaced with 45710. Jasco Light Almond Decora Auxiliary Light Switch 45710 This is needed for three or four way applications. You can use it with the dimmer or the on/off switch. Jasco White Toggle In-wall On/Off Light Switch 45740 If you do not like the decora style and want the toggle switch this is for you. (use with 09 or 07 in three-way applications) 45741 The slave or aux switch if you want to control a 3-way or 4-way, you get the 45740 first and add these for the others. Kwikset Deadbolt Lock Satin Nickel 99100-023 6 Button Digital Deadbolt. These are awesome. Newer models available now. Kwikset Deadbolt Lock Venetian Bronze 99100-024 6 Button Digital Deadbolt. These are awesome. Newer models available now. Kwikset Deadbolt Lock Polished Brass 99100-022 6 Button Digital Deadbolt. These are awesome. Newer models available now. These devices have been used and have been reported to work just fine. If you know of other devices that work fine, but are not ADT Approved, please let me know so we can add them to this list. Honeywell Digital Thermostat ZWStat Honeywells Zwave Thermostat – Programmable and a tad smarter than most thermostats.